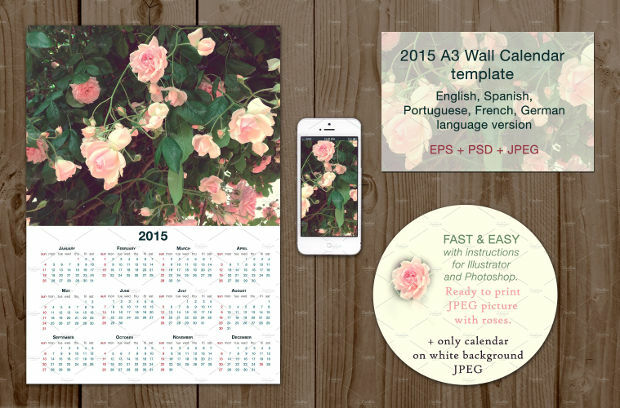 With 2016 about to finish, new calendar designs are a necessity. 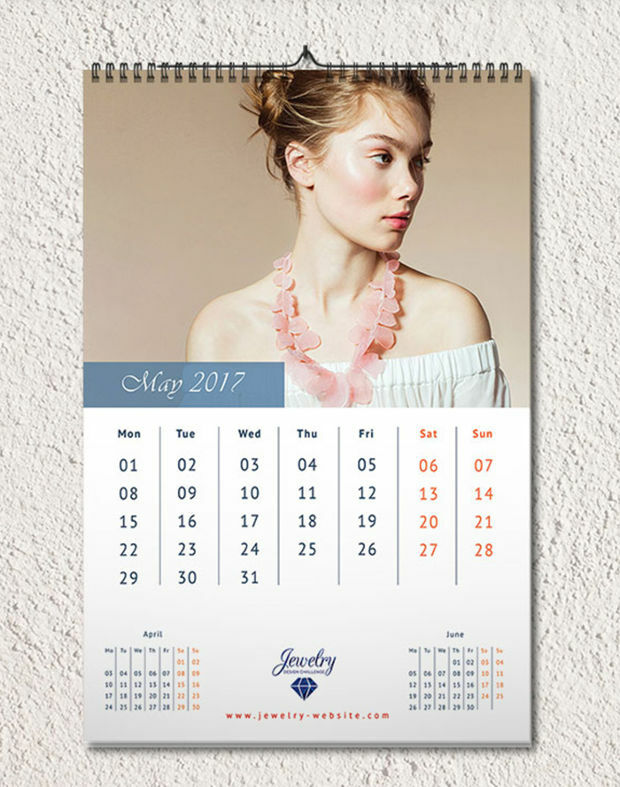 You can find many designs on the web that will give you style and the exact design that you want for your calendar designs in a vast collection. 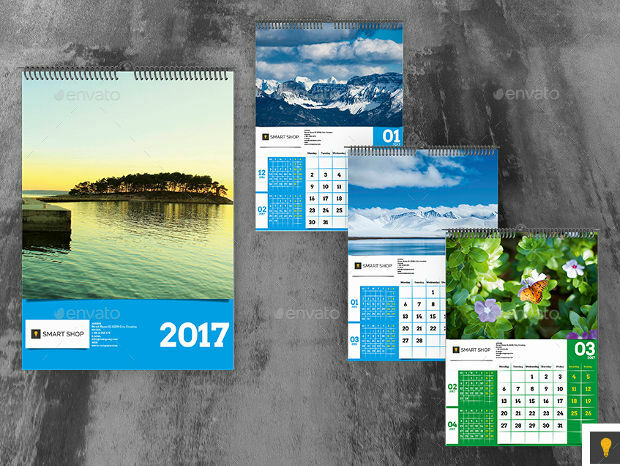 There are designs for your desk or your phone as well as for your wall that you can place at any room in your house. 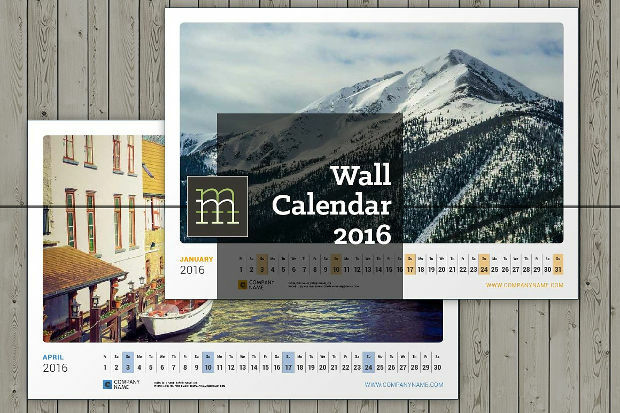 Keep reading for our wall calendar collection of designs to help you. 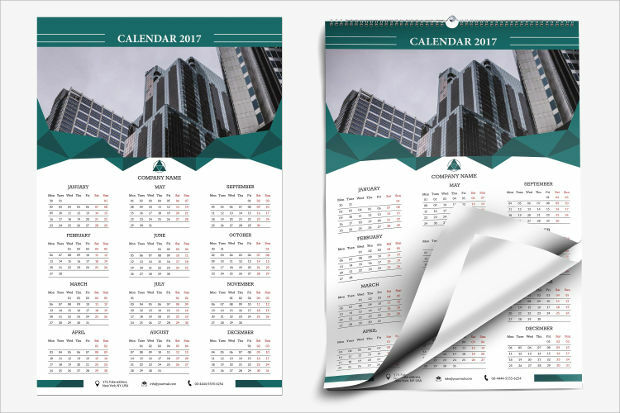 This corporate design comes in two different cover designs and two separate calendars layouts to choose the one that fits your needs. 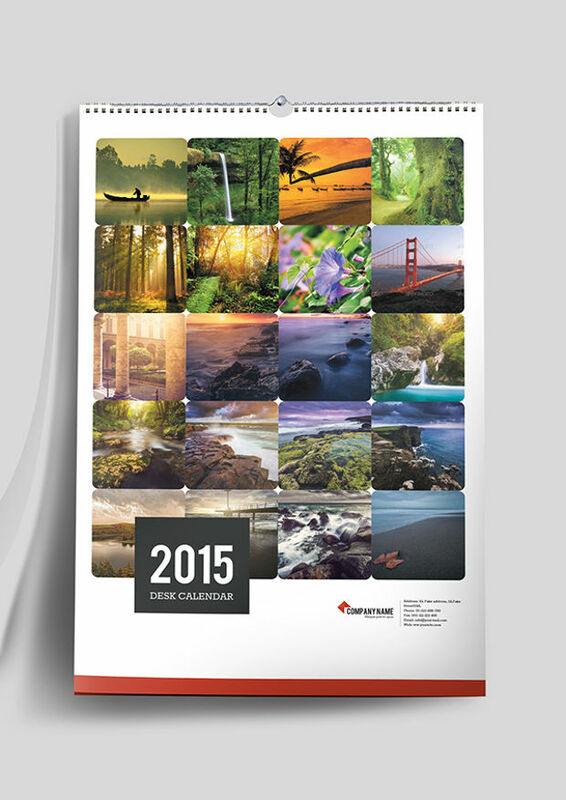 You can find it in tabloid and A3 sizes while the 300 dpi resolution gives excellent printing results. You can find designs that are divided in sections for a neat look. 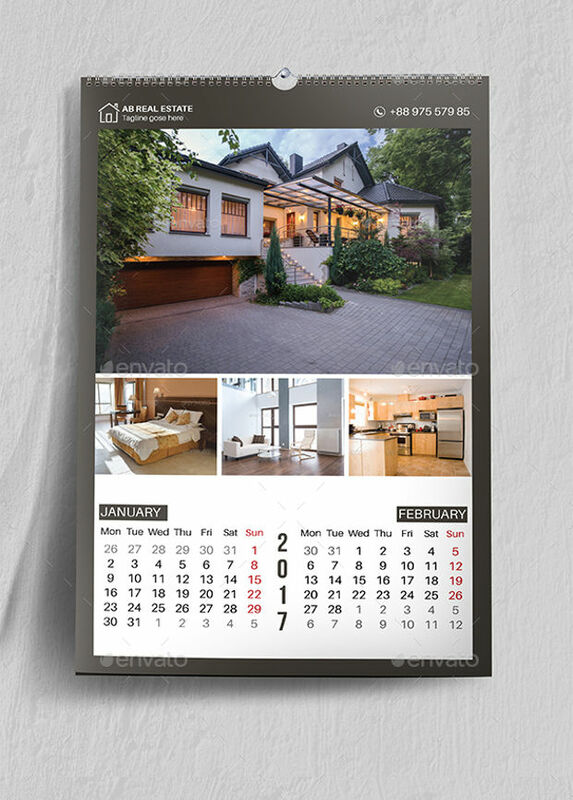 This one has a stunning photo design at the top while every month is displayed right beneath it along with space to allow you to take notes. 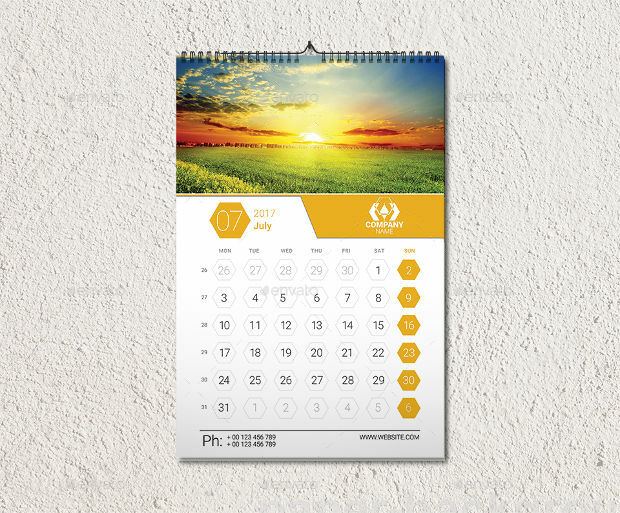 With this beautiful design you will be persuaded to take a creative approach on life too. 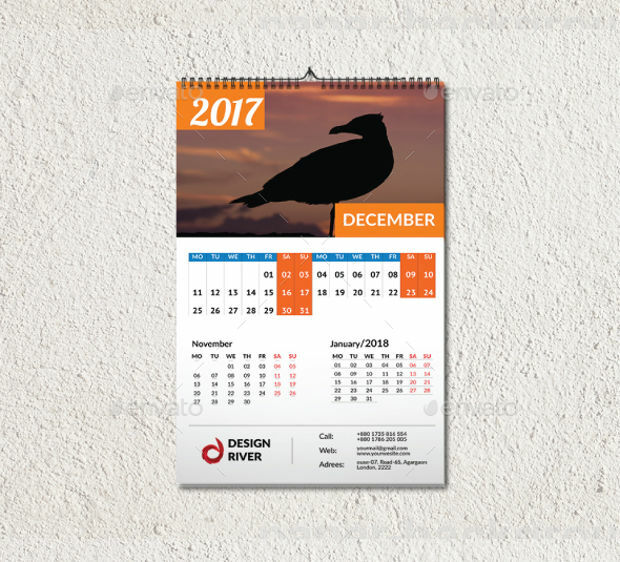 The stunning pictures along with the modern layout of the month display that shows the previous and next month will help you organize your year carefully. Having more than one option is liberating. 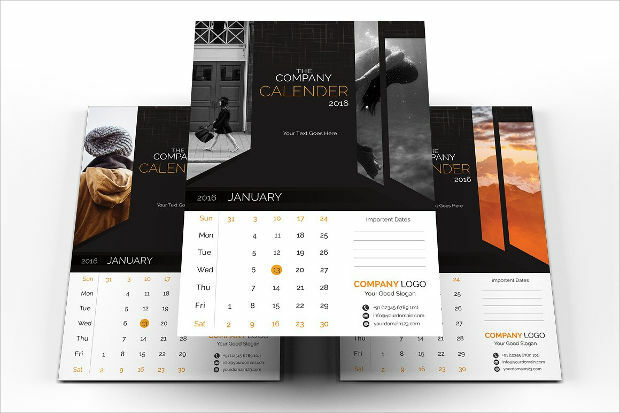 This design comes in three color versions that enhance the minimalistic layout of the design. The design has a modern type that will allow you to fit it in every space in your house. 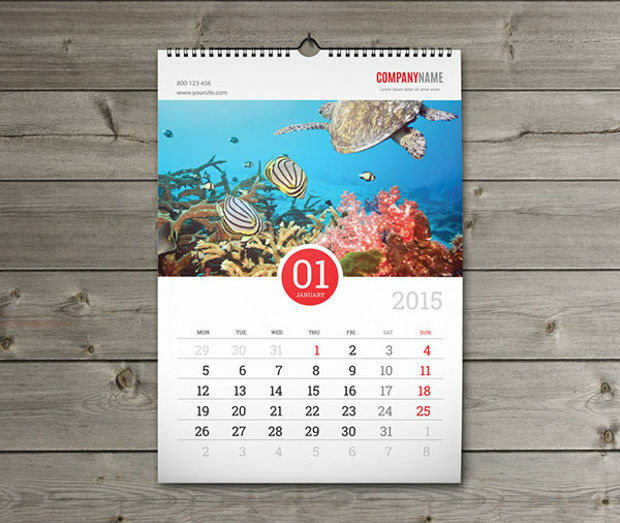 Yearly calendars are ideal for promotional purposes. 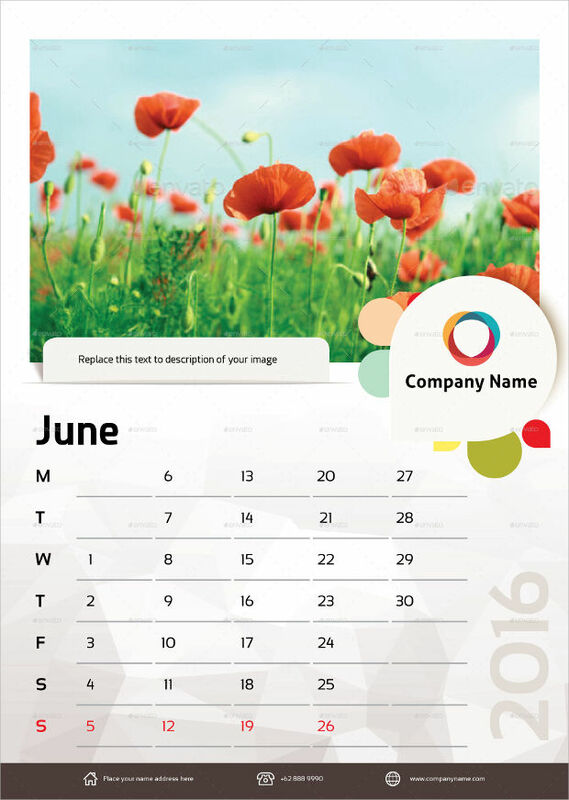 Companies and businesses can get this design in order to hand it out to their customers as a thank you gesture. 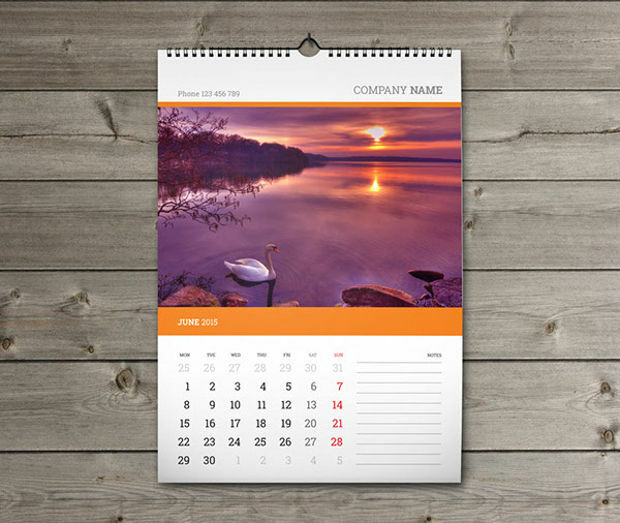 This way you build awareness to your business while offering a useful calendar. 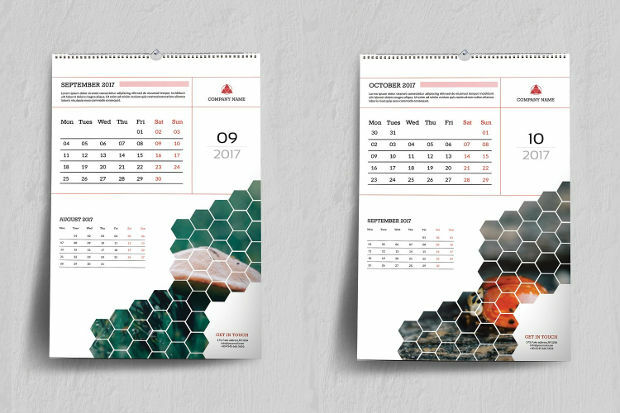 If you are looking for a mockup design to present your calendar designs then this blank one will give you a stunning outlook. 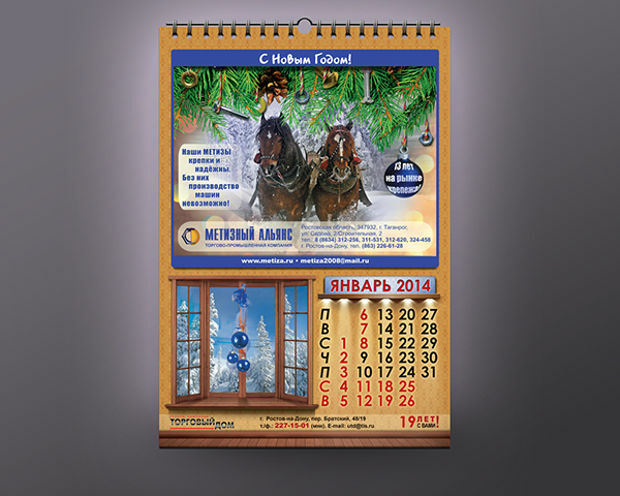 It is available in seven sizes that you can find in jpg and tiff formats in two resolution levels. 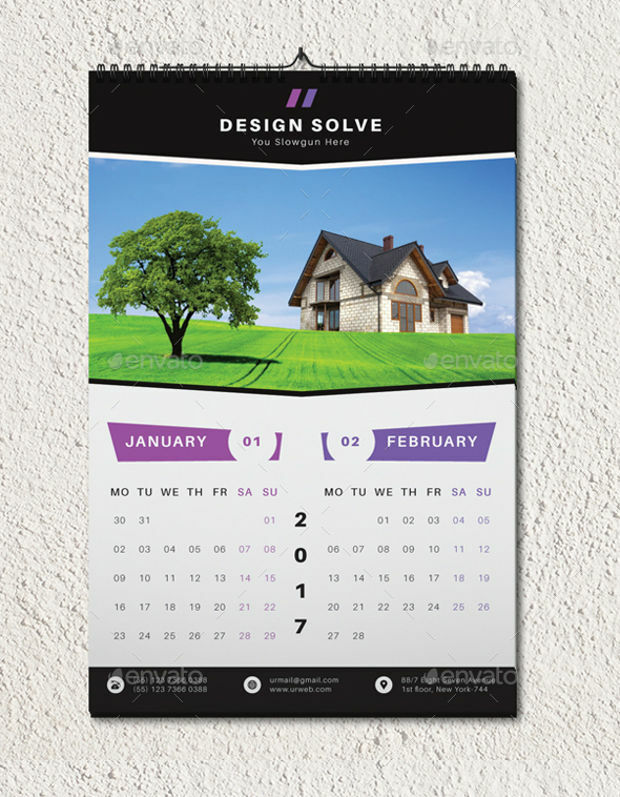 You can choose this design for your office or your house. It also works perfectly for advertising businesses like beauty spas, architecture offices etc to build awareness to new and potential clientele. Its design has a minimalistic approach that amazes. 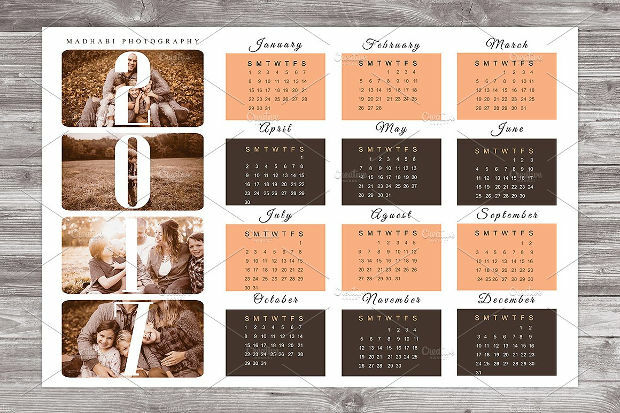 This family design will allow you to place your own photos in order to personalize it in your own way. You can also gift it to a friend or a family member as a sigh of your gratitude and love. 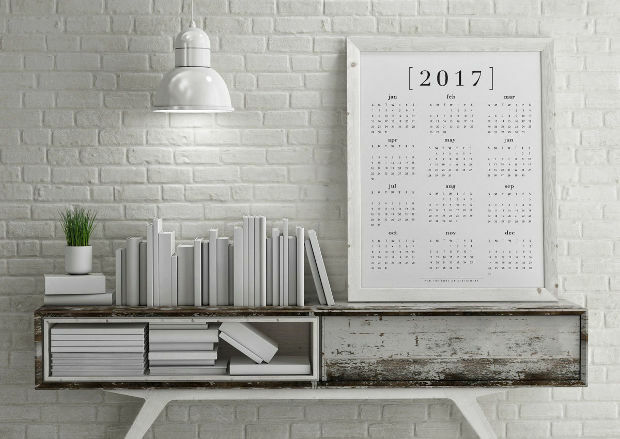 Calendars help you organize your time regarding the foreseeable future. There is a great deal of designs that can over other aspects of your life like adding style in your space with a creative and stunning layout. 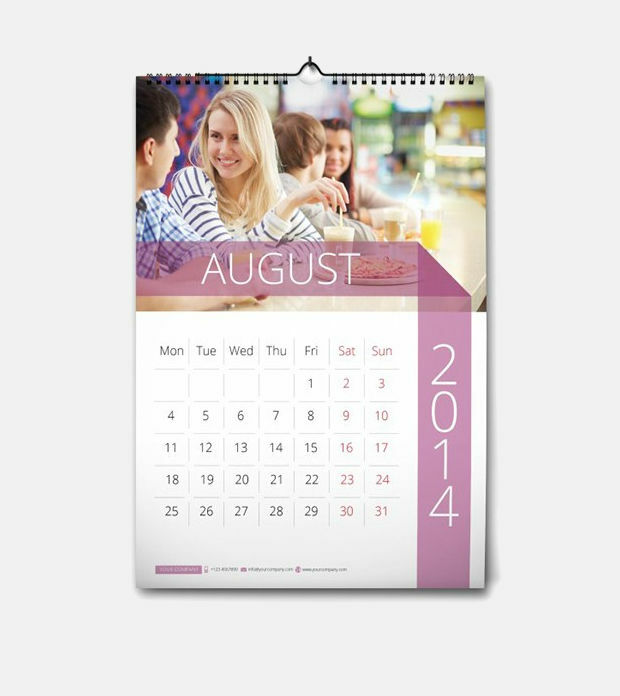 You can also use calendars to remind you of special events and occasions. 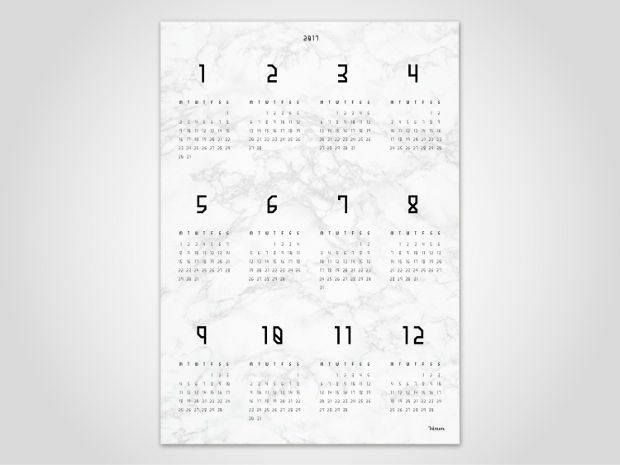 A wall calendar is going to be useful just like a desk calendar. 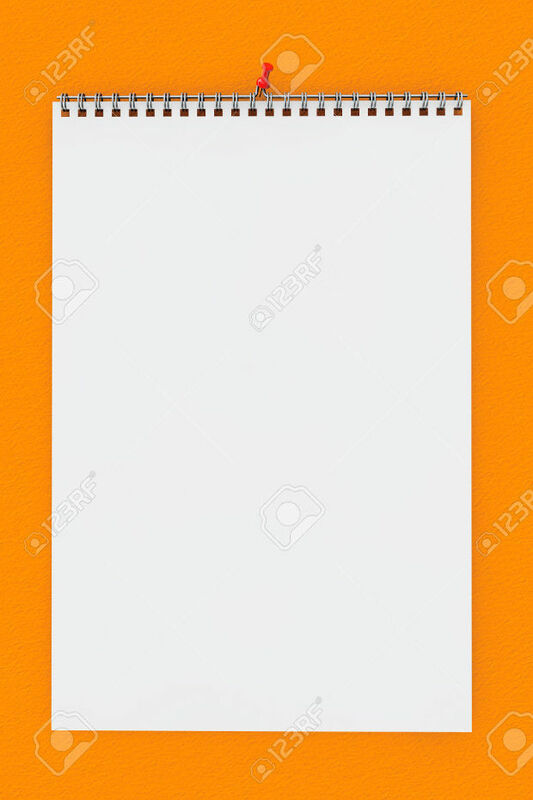 You can make notes while keeping track of current and future events. Organize your time with a stylish piece that will add character to your space with a stylish design that will cover your organizing and aesthetics.